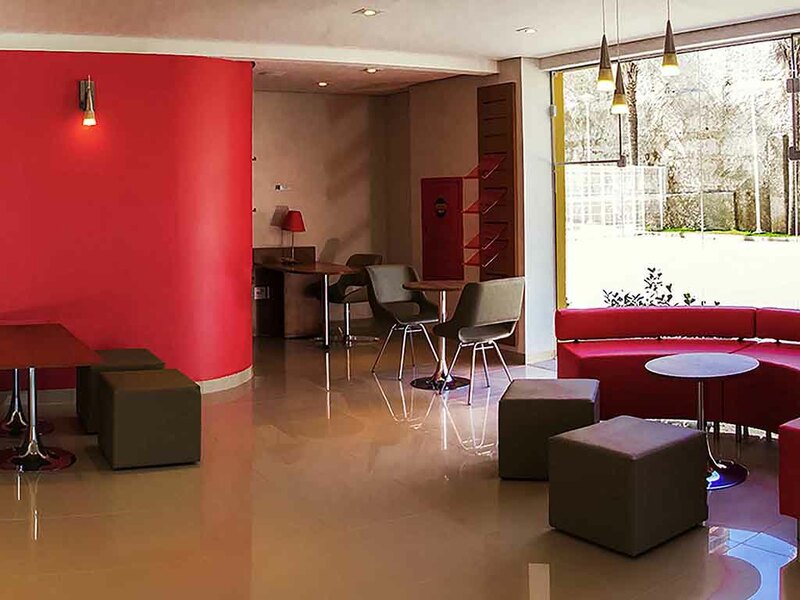 The ibis Presidente Prudente (São Paulo) has 72 apartments that are true to the latest Accor standards. Apartments are available for smokers, non-smokers and guests with reduced mobility. The hotel has WIFI, free parking and a business center. It enjoys a privileged location near to the city's main shopping center, on one of the main avenues and surrounded by the most popular leisure facilities in Presidente Prudente. Ibis was my first choice on business trip. Now I have to review my idea. Economy of one soap and one shampoo for 2 people in a room ! Mileage program that you will never reach return !! Pet friendly is not for all guests. In general was good, but the internet. This service is so poor that even simple navigations would not work. You do not have any one to help you. So it says internet available and it is not available at all. Overall good vale for money. Unfortunately tv image in the bedroom and it was too late for me to bother asking for someone to fix it. Breakfast was ok but a little short of options. Have stayed in other Ibis with better breakfast People at Reception/Front Desk were nice and helpful. Ibid standard, however the mattress wasn't so comfortable (too old?!) and the AC creates a lack of energy in the room (less than a second but enough to leave you in the dark) when the compressor is actioned. The hotel is in a very good location and I enjoyed been able to walk to the restaurants around the area. The rooms are small but functional. The hotel staff is very polite. Overall I enjoyed the experience. It was my 3rd stay at this hotel. This is a nice budget hotel located in a very good location in Presidente Prudente. Within walking distance to restaurants, bars, a mall and to Parque do Povo.The rooms are basic but functional. It has a good breakfast with a variety of items to choose from. The employees are very polite and the service is good. I recommend. My 1st choice when a need visit customers in other cities. Who need a standard room, confortable, clean organized, good shower. Sometimes I felt in the same place, but it´s the reason that I choose, there´s no mistakes or surprises ! The Ibis Presidente Prudente is a clean, comfortable budget hotel conveniently located within walking distance to a mall, restaurants, and banks. Rooms are small, but very functional and include a work area, Wifi, and mini-fridge (no items included, but drinks can be purchased downstairs). Optional breakfast can be purchased at check-in. The breakfast includes a good assortment of options. Overall, a comfortable stay.